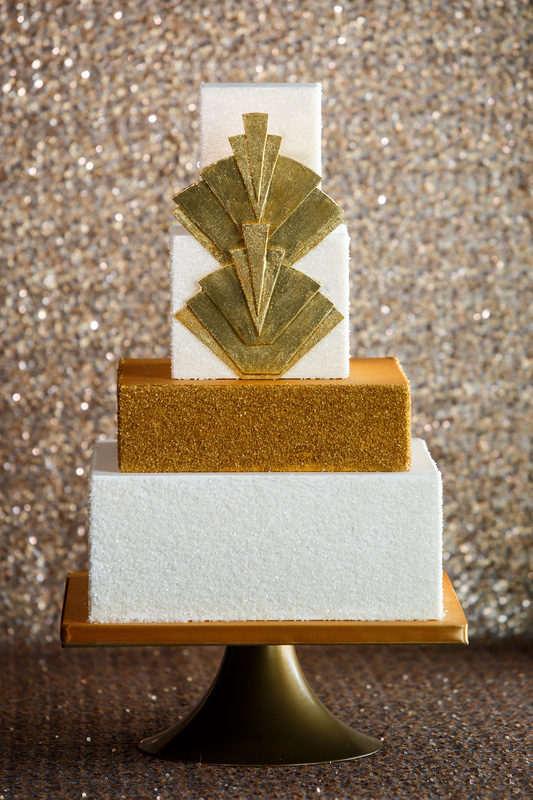 Sugar Realm's Signature line of cakes allows you to enjoy a Sugar Realm cake without investing the time and expense that often goes into a custom designed cake. 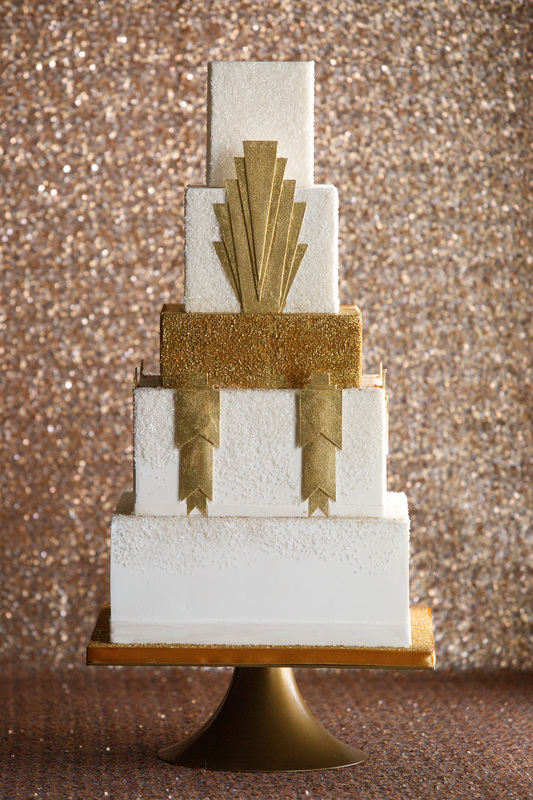 The collection as a whole offers several designs suitable for any venue, style, and season. We plan to add several designs every year to the Signature line, to reflect current fashion and our own style as it continues to evolve. 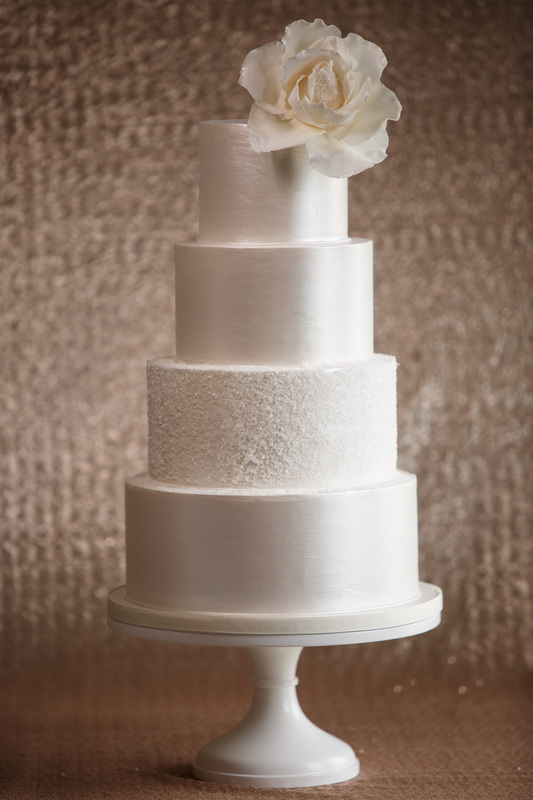 ​​Our catalog of pre-designed signature cakes, range between $6.50 to $8.50 per serving.​ Delivery within the Cincinnati metro area and set up fees vary per distance to your venue. 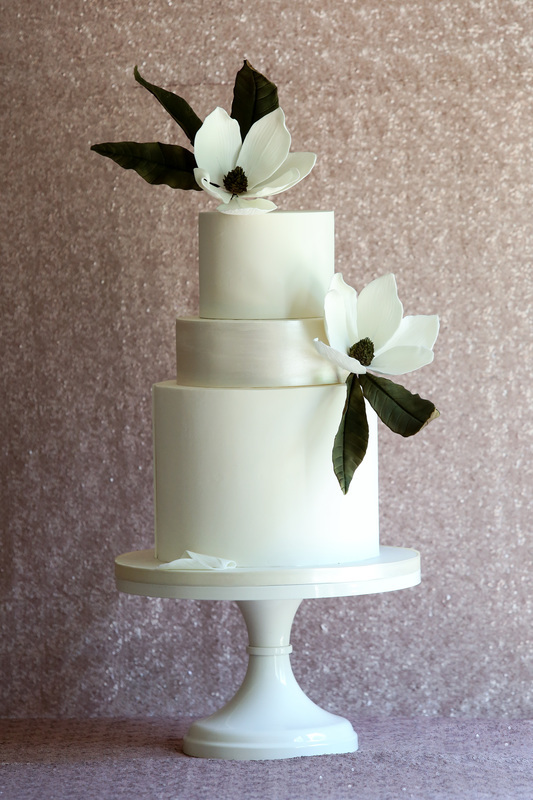 A variety of cake stands are available for rent at competitive rental fees. 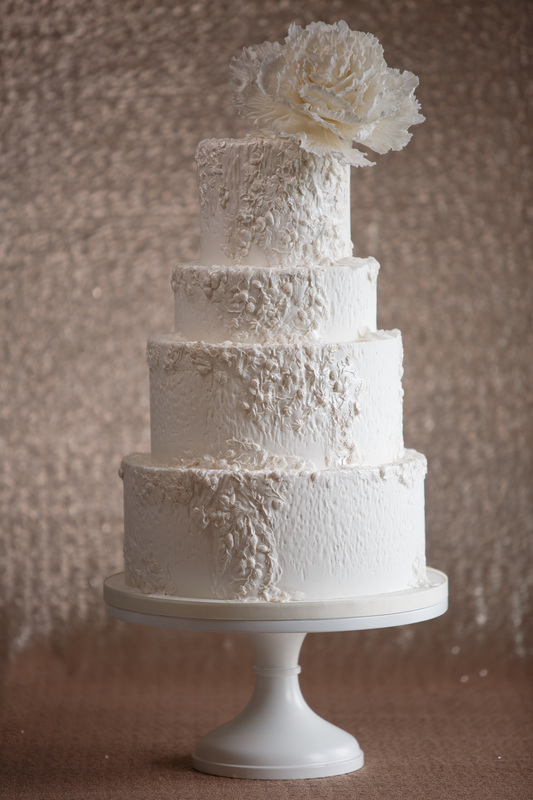 Simple, contemporary and romantic, smooth tiers set the tone for an oversized sugar rose with with color graduation and gilding. 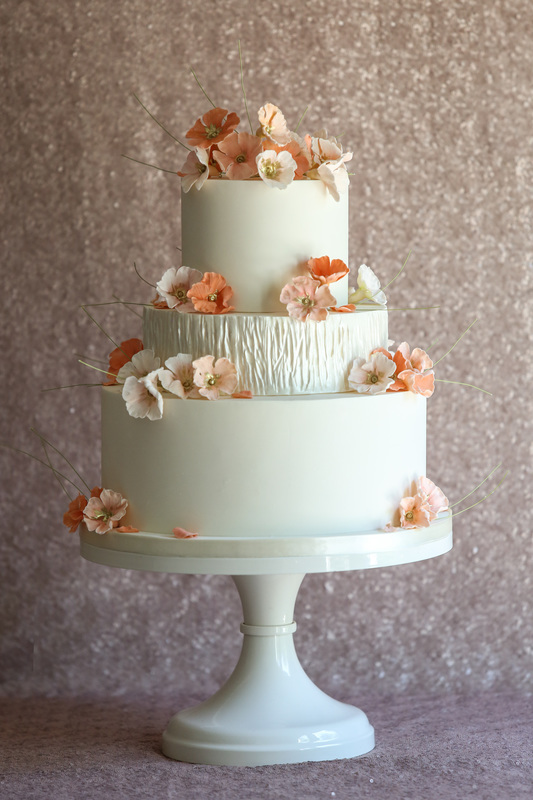 Smooth tiers accentuated by cascade of sugar petals in a soft graduation of color. Inspired by contemporary bridal couture, decorated with delicate textured blossoms cascading down the tiers, on tulle textured tiers. 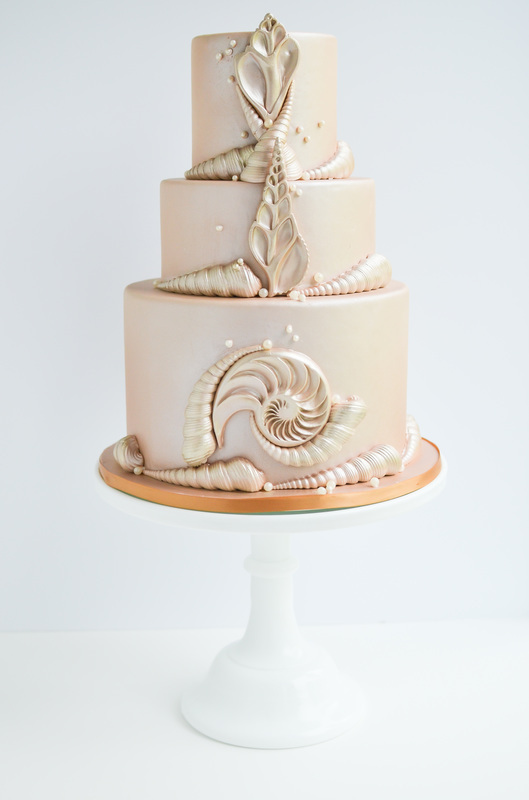 From our seascape collection, and inspired by the tales of mermaids, and the underwater world. 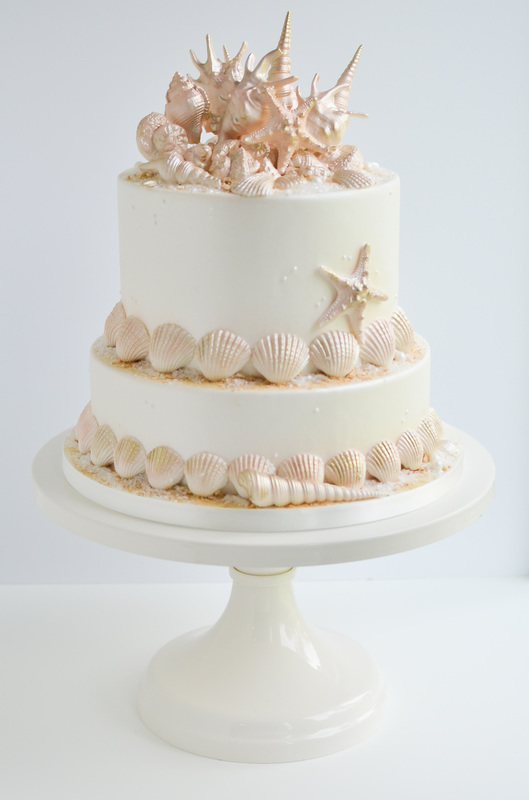 Topped with sugar seashells brushed in gold pearl dust. Inspired by the seascape themed jewelry. 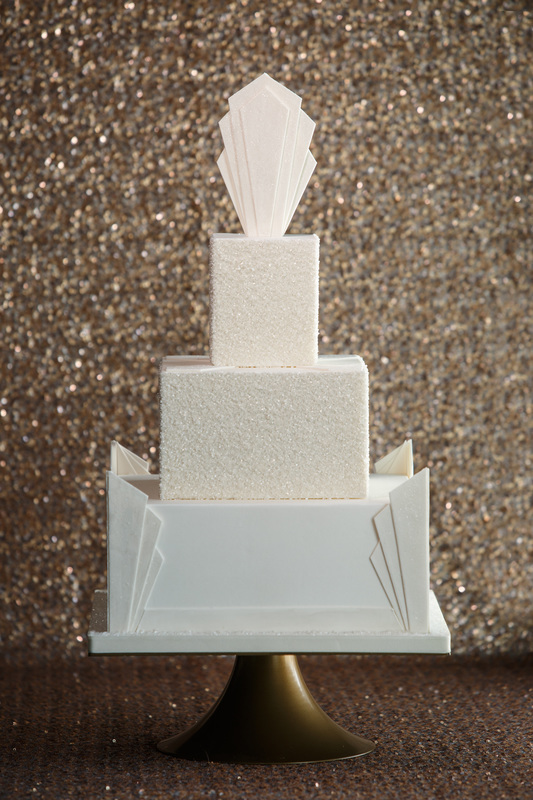 accentuated with sugar crystals. Inspired by the playfulness of tide pools and the discoveries of a seashore walk. 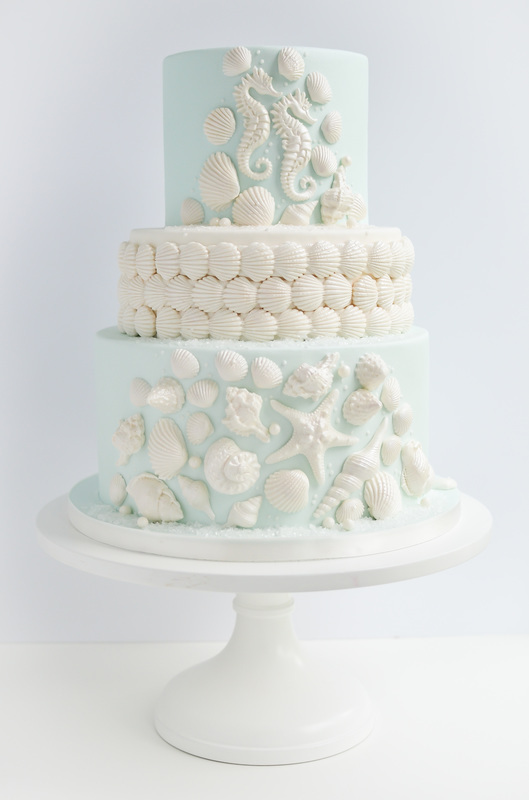 Sugar seashells and pearlized sugar crystals. 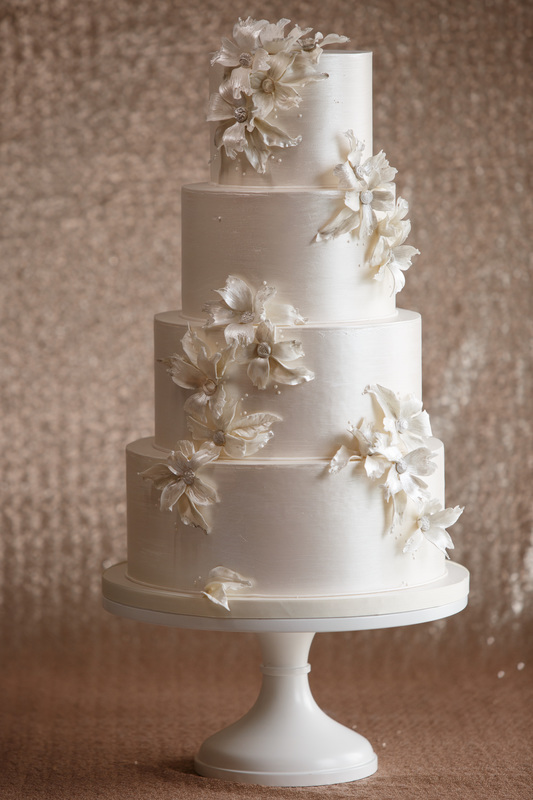 Ileana and her staff look forward to serving you and helping you setup an appointment to experience Sugar Realm Cakes. One hour complimentary tasting and consultations are scheduled Monday through Friday, 11:30am to 5:30pm. 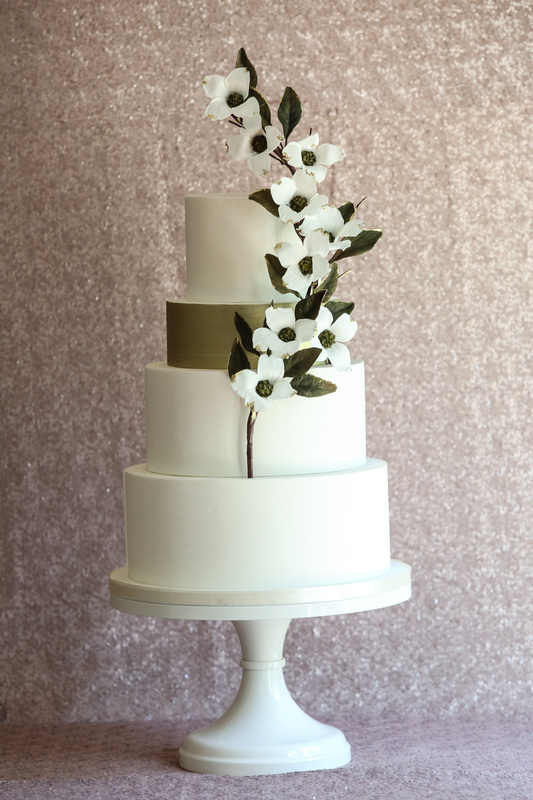 Because weekends are devoted to delivering and setting up cakes on location, we regret that we cannot secure tastings on Saturdays and Sundays. Sugar Realm is a legal, licensed and insured home-based business. Ileana conducts tastings and consultations by appointment only at her place of marketing in O'bryonville.